Pennsylvania gambling laws are well under way towards allowing online gambling to its residents after the state governor signed the legalization bill in October. The Pennsylvania Gaming Control Board that is overseeing the legalization process is now accepting license applications and will approve 10 online casino to operate. The state has plans to allow both online poker as well as online casino games through licenses connected to land based casinos currently operating in PA. Bonuses, payment methods, and game selections are bound to be identical to the NJ Online Gambling Market. Players can also compare to the a similar timeline as seen in New Jersey for when iGaming will be available, and may even witness a faster launch given the approval of applying licensees. In 1959, Pennsylvania started its form of legal gambling through the Horse Racing Reform Act, which eventually led to opening of several race track locations. Fast forward to 2004, with the assembly of the of the official Pennsylvania Gaming Control Board, the state also legalized slots to be available at 14 different establishments including brick and mortar casinos and race tracks. Commercially Pennsylvania is only second to Nevada in casino revenue, which will pave the way for a strong online gambling industry. In April 2013, Pennsylvania State Representative. Tina Davis brought a new online gambling legalization bill into the the fold by presenting H-1235. The H-1235 was similar to that of New Jersey’s first online gaming bill which included both online poker and casino games through the current brick and mortar casinos hosting secure online sites. Once the positive results came out of an independent study on Pennsylvania’s online gambling future, it was clear that PA had a great chance of becoming the next legal state to legalize both online poker and casino games. However, the legislation was not yet passed in both the Pennsylvania House and Senate due to tax issues in the legislation. Representative Payne did an excellent job of trying to fit online gambling into Pennsylvania’s state budget as well as raise awareness of its advantages for the state. Although the plan for online gambling did not include it into the budget until 2016, many other lawmakers began to see the positives of what the possible tax revenue could do for the overall PA budget. With the issues of Daily Fantasy Sports being a large factor in any gaming bills for the 2016 PA budget, pressuring lawmakers to package online gambling into the mix. The PA House of Representatives passed the bill and sent it through to the Senate. However, there was late opposition within the Senate and the bill was pushed into the later part of the year. When the bill was settled on by both the House and Senate, due to tax issue ruling from the PA Supreme Court, the bill, once again was delayed into 2017. On October 27th, with the legislation outlined correctly for the best shot of approval, Governor Tom Wolf signs the gaming reform bill (which was renamed to H-271), legalizing online gambling in Pennsylvania for a 2018 launch. Pennsylvania joins New Jersey, Nevada, and Delaware as the fourth state to bring iGaming into the fold. Pennsylvania’s past gaming laws have been quite strict, but the Keystone State does not seem destined to continue limiting online gambling options. For now, the state outlaws poker and other casino-style Pennsylvania gambling, both land-based and online. However, legislation is in a potential process of expanding online gaming options through House Bill 1235 and State Senate Bill 1386. In the meantime, the state of Pennsylvania allows its resident several online gambling options. Although it may be some time before the recently submitted legislature to authorize further online gambling types is passed, the state is on the right track to creating a legalized online gambling industry. What Type of Online Gambling is Legal in Pennsylvania? With the online gambling bill allowing casinos to host online casino games, PA players are going to have a large selection of both virtual slots as well as table games. To get an example of some of the casino games that will be available, PA players are able to play for free in non real money games at New Jersey websites. Additionally, it is almost certain that a fair number of common games currently available at live brick and mortar casinos should make their way to future online platforms. All online slot machines are taxed at 54 percent and all online casino table games at 16 percent, giving a huge boost to the Pennsylvania state economy. On top of online casinos, the state will also host virtual casino terminals in truck stops and available tablet gambling in airports. Online Poker players in Pennsylvania should plan on being able to start playing well into 2018. 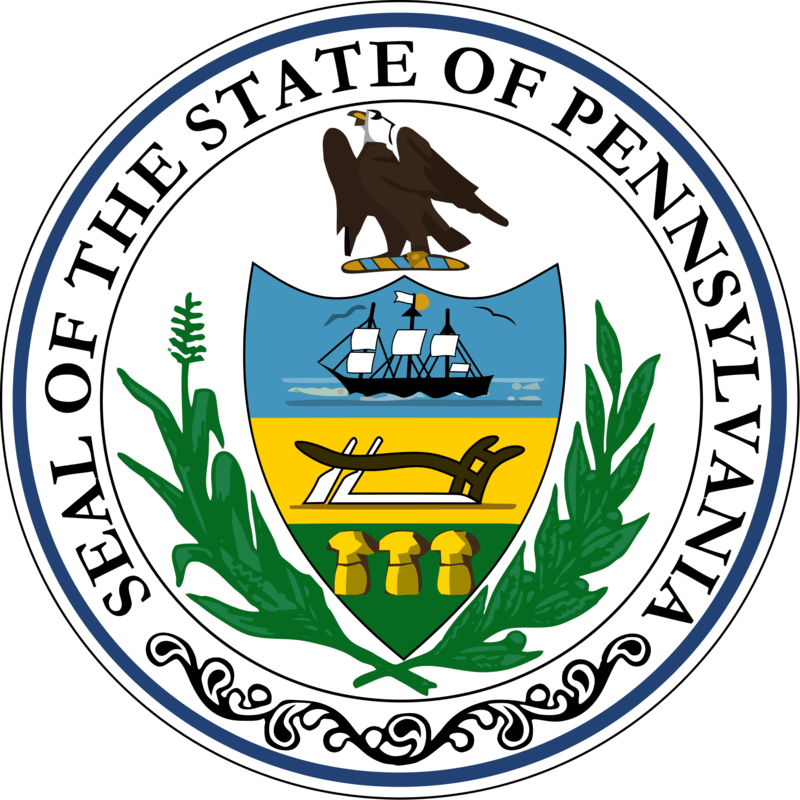 Although Online Poker is now official legal, the game will still need to go through the Pennsylvania Gaming Control Board (PGCB) for pre-launch regulations. So far, the PGCB is currently finishing up matters on state gaming tax. Online Poker will hold a 16 percent tax to raise state budget revenue. It is likely that there will be 12 Online Poker options available to players, as operating licensees must partner with one of the current 12 brick and mortar casinos in Pennsylvania. It is possible that Pennsylvania Online Gaming Operators will eventually share players pools with the three other legal online gambling states, however, it seems PA will start its iGaming industry on its own. Live Bingo in Pennsylvania is a popular vehicle to raise money for fundraisers, and the new gambling bill recently passed is now increasing the total amount of prize money won for each game as well as jackpots. The recent gaming reforms through similar laws passed for legalizing online gambling can be seen as an implication that online bingo will certainly be making its way onto online casino platforms in 2018. Although traditional sports betting is not currently legal in the state of Pennsylvania, with the exception of horse racing, the online gambling reform package fully includes Daily Fantasy Sports as legal and fair. Daily Fantasy Sports betting should be increasing in popularity as online gambling hits Pennsylvania, though it is currently available already. Pennsylvania currently has six horse and greyhound racing tracks established throughout the state. Each gambling enterprise is controlled and regulated by the Pennsylvania Racing Commission. Moreover, the Pennsylvania Department of Agriculture oversees that each establishment coordinates with state and federal gaming laws. Pennsylvanians can also make wagers online through simple and efficient betting platforms. The operators who service all United States citizens are appropriately licensed and managed on US soil. Members can make real money wagers on any of their favorite horse and greyhound racetracks anytime, anywhere. TVG leads the nation with its easy to use website and thriving television network station that services some 33 million American homes. TVG provides safe wagers for its customers, guaranteeing all winning with a reliable payment processing system. TVG is also one of the largest sponsors of the horse and greyhound racing industry. Sign up today for a new member bonus. Read the TVG Review to learn more! TwinSpires is another respectable horse and greyhound racing site that offers several key tips and insight for every new horse and greyhound bettor. The site’s simple and effective platform can be used at home or on the go with the new TwinSpires mobile application. Don’t forget to check out all of the new up to date handicap information on the upcoming races. BetAmerica is one of largest platforms for online horse and greyhound race betting across the nation. BetAmerica’s interactive website grants access to numerous horse and greyhound races around the clock. Members can watch any race they wish to bet on with any device. Best of all, BetAmerica is now matching new deposits with its sign up bonus feature. Check out the BetAmerica Review to learn more! Online fantasy sports betting is one of the nation's favorite gambling methods, with 57 million people partaking in fantasy leagues. This alternative to traditional sports betting was deemed a game of skill on a federal level by the United States Congress in 2006. The Unlawful Internet Gambling Enforcement Act (UIGEA) exempted online fantasy sports betting due to its use of knowledge instead of luck. Unlike traditional sports betting, where a bettor picks a favorite team and hopes for the best, fantasy sports betting takes into consideration a wider variety of factors. Players that put together drafted team have to review various stats, weather patterns, coaching strategies, and so forth before gambling with real money. DraftKings is a 100 percent legal daily fantasy sports website based in Boston. Although it may take some time getting used to, DraftKings’ daily version of fantasy sports is easier to play than season-long bets once you get used to it. This is because you do not have to find a long-term season strategy that is high stakes. 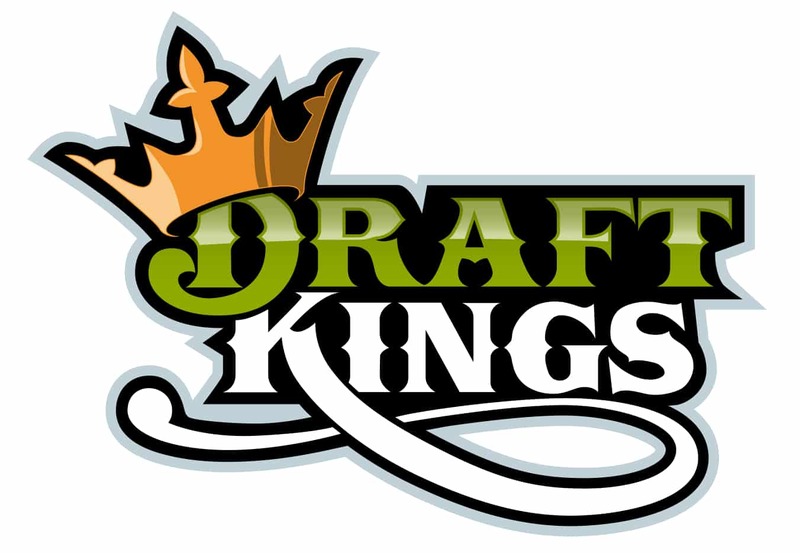 Learn more by reading the DraftKings Review! 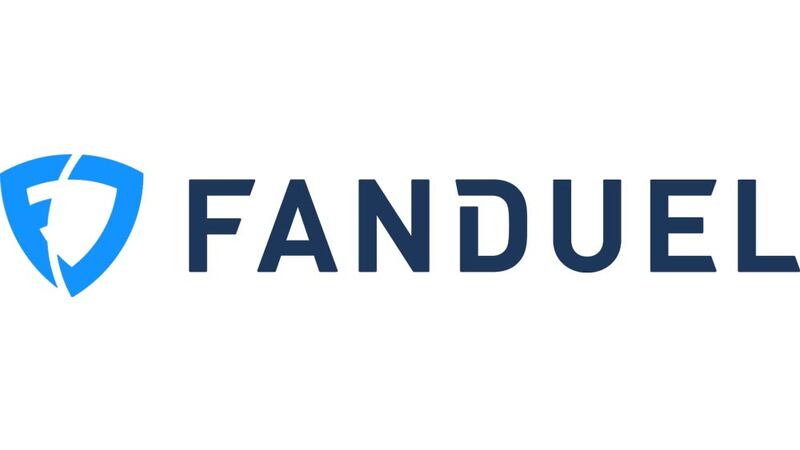 FanDuel acts as the leading platform for online fantasy sports betting according to the Fantasy Sports Trade Association. Its recent major financial backing of close to $300 million dollars pushes FanDuel to the top spot for daily and weekly fantasy leagues that give users an exhilarating and fast-paced experience for fantasy sports betting. FanDuel offers a money back guarantee for all new members. The Pennsylvania Lottery has been alive and strong since 1972. Look out for online capabilities or options for participants to play from home in 2018. As for lottery type online casino games, there should be scratch game options available through new online casino providers. WorldWinner is the largest skill-based gaming/betting website on the market. Still, it is a relatively small company compared to the sites listed above. It is a safe place to bet using real money and have fun playing some of your favorite games such as Bejeweled. However, don’t expect to be able to win a massive amount of money using this site. Playing on an overseas site may seem like a viable option to gamble, but you must be aware that foreign sites are not safe or legal to use. Though it is difficult for Pennsylvania to enforce state laws on offenders who play online, it is still an offense to partake in gambling that is not legalized by the state. The current law outlines that even illicit online gambling is clearly a violation. Participants should know that the Keystone State punishes offenders for crimes such as the ones listed above as a 1st class misdemeanor. The level of crime is subject to up to five years in prison and no more than $10,000 in fines. Potential operators who wish to apply for an Internet Gaming Provider License will need to first partner with one of the current 12 land based casinos already in business within Pennsylvania state lines. However, the current land based casino license holders will have the first shot at online operating licenses in the initial wave of PA iGaming. Although the Pennsylvania Gaming Control Board has not given an exact timeline to when operators are able to launch, the PA gaming regulation arm has given potential applicants a specific window to apply. Each land based casino that wishes to apply has a 120 day window, which began the 27th of October, to file the necessary paperwork. Once the application is filed, the Pennsylvania Gaming Control Board will have 90 concurrent days to either grant or deny the license. As for other operators, it can be foreseen that they will have their shot at a license directly after the 120 day window has closed. Within the first 90 days, the current brick and mortar casinos are able to pay $10 million for their license that includes an all in one package of online slots, table games, and poker. The last 30 days of the 120 day window for applications allow the same current brick and mortar casinos can pay $4 million for each of the three. Lastly, after the 120 day window has expired, other qualified potential operators that have been accepted can pay $4 million for each of the three types of games. Although the Pennsylvania Gaming Control Board is giving existing land based operators an exclusive window to be the first to apply and receive a license, the state has made it very clear that applicants will be reviewed equally. Most importantly, the online gambling reform bill highlights that there is not a “Bad Actor” Clause, meaning that applicants are given a fresh start when entering the PA iGaming market no matter their history with gambling markets in the United States. This is a major positive for those that were deemed illegal under the 2006 Unlawful Internet Gambling Enforcement Act (UIEGA). Overall, the specificity in the law will not hinder the Pennsylvania Online Gambling market, but will allow it to grow even larger than expected. Who Can Play For Real Money on Pennsylvania Online Casinos? Players will have to be at least 21 years old to play in real money games. Players will have to be located within Pennsylvania state borders under geolocation while they're playing. Players will not need to be an actual resident of Pennsylvania to participate and can be just visiting the state. Players can sign up and deposit funds from anywhere in the United States. As for age verification, you will need to prove you are old enough to play as well as verifying your identity. When you register, you will need to provide government issued identification materials before you can play real money games. Additionally, each and every online casino or poker site will be tracking your geolocation to ensure you are within PA state lines. On October 27, 2017, Governor Tom Wolf signed the Pennsylvania State Gambling Reform Bill that legalizes Online Gambling. The bill includes Online Casino Games, Online Poker, and a continuation of legal Daily Fantasy Sports Competitions. However, Online Casino Games and Online Poker will not be available until later in 2018. Will you be able to gamble on regulated Pennsylvania Online Casino and Poker sites if you're from another state? Although Nevada, Delaware, and New Jersey allow legal Online Casino and Poker sites to operate with player pool mixing, the Pennsylvania Gaming Control Board has not given the notion that Pennsylvania sites will follow suite. However, you will be able to sign up and fund your account in any state within the US, and will only be able to access real money games from within Pennsylvania state borders. Pennsylvania State Lottery, Bingo, and Daily Fantasy Sports competitions demand that participants must be at least 18 years old, whereas Online Casino and Poker sites will require players to be 21 years or older. Pennsylvania is drastically increasing its gambling industry by recently passing a bill that legalizes online gambling within the state. With already the second largest amount of revenue from commercial casinos within the United States, Pennsylvania looks to join Nevada, New Jersey, and Delaware by allowing both online casino games as well as online poker. The state already has a large popularity for Daily Fantasy Sports Competitions, Horse Racing Bingo and the PA Lottery. However online gambling will revolutionize the market and boost the state economy. Although Pennsylvania will not have online gambling options available immediately, players can expect online platforms to launch in later 2018. The state has 12 brick and mortar casinos that are primarily eligible for online gaming operating licenses within the first 120 days, but anyone looking to try their luck in Pennsylvania can expect even more online casinos and poker sites to be ready for business later this year, as the state will start accepting qualified gaming entities after 120 days from the October 27th legalization date. Due to the combination of both a healthy live gambling economy alongside the recent legalization of online gambling, it won’t be long before Pennsylvania has one of the best real money gaming markets in the country.